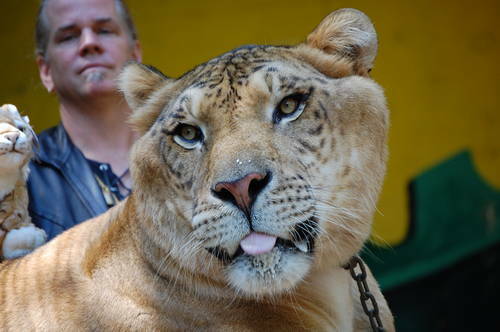 This is a lion & tigar mix.he is a 900lb cat. Its gorgeous..I love lions+tigers and this a great combination.Love it!! Ha! I saw the liger too! I plan on going back to King Richard's Faire in a few weeks. Great pic!